Markdown is a simple language used to add formatting to text. 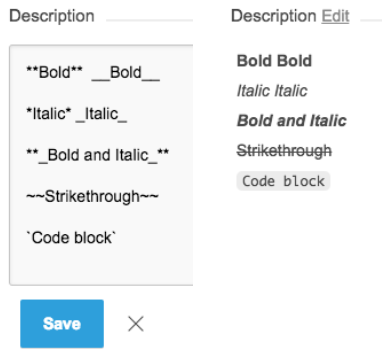 iRise uses a modified version of the Markdown syntax for the description field for requirement cards. 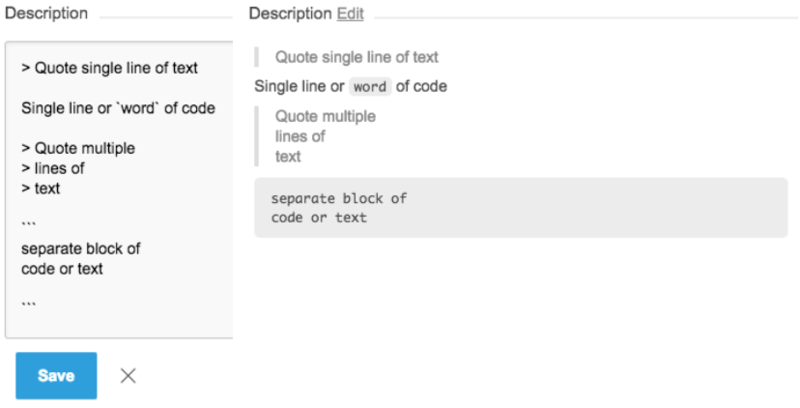 With the Markdown syntax, you can easily style and quote text, as well as add links, images, lists, checklists, and more in Comments and requirement Description field. 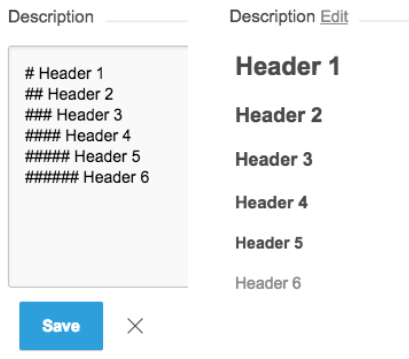 Comments can be added to requirements or screens by a user with View and comment, Edit, or Owner permission on a project. Description field text can be entered or edited from any requirement's card (from the Requirements Panel in Editor or Player or from Manager) by a user with Edit or Owner permission on a project. Review the images below. 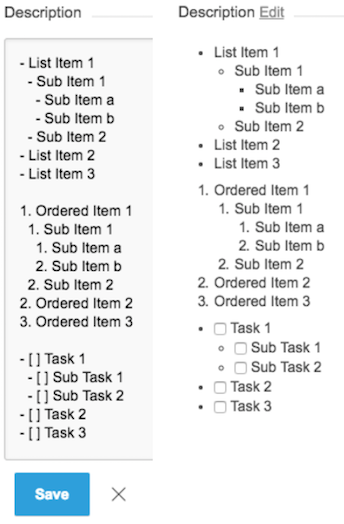 The image on the left is the syntax required to create the formatted text - entered in the requirement's Description field. 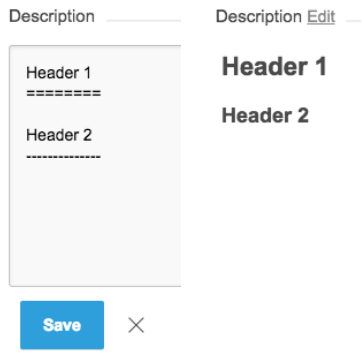 The image on the right is the text formatted and displayed in the requirement's Description field. The same syntax requirements apply to Comments. 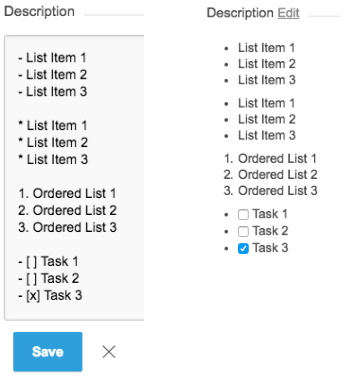 Note: the checkboxes will be editable/clickable for users with Edit or Owner permission from the formatted state. 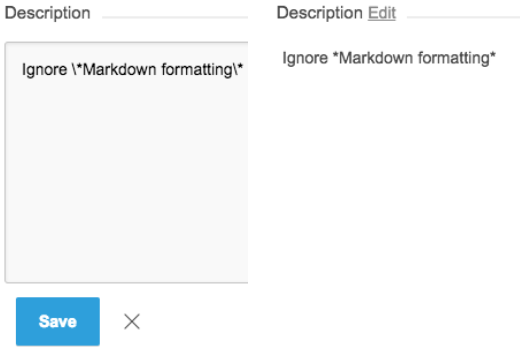 You can review the full Markdown documentation available here. However, we do not share GitHub’s custom support for emoji code, section links, referencing issues and pull requests, or mentioning teams.